What is an escape room? Find out why people enjoy our escape room. 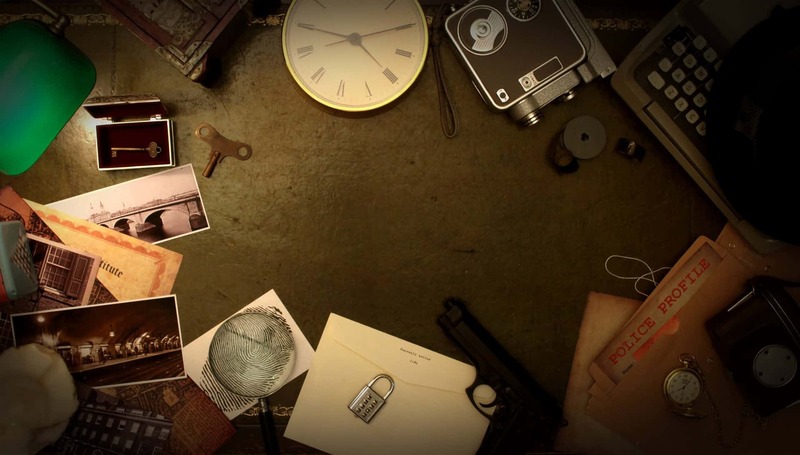 We try to answer one obvious question – What is an escape room? What is an escape room ? In a world of online games and mobile apps you would be forgiven for thinking that getting in your car and driving somewhere to physically play a game would be somewhat old fashioned. However as we see time and time again life is an iterative cycle of trends and old ideas reborn. Who would have thought a bomber jacket would be the must have fashion item of 2017, in pastel pink!? Who would have thought the Crystal Maze would make a comeback or Jeremy Clarkson would be a good replacement for Chris Tarrant? Only time will tell if this was a good or very bad idea. People are generally sociable characters and enjoy nothing more than spending time with family, friends or work colleagues. Usually this involves drinking something alcohol based in a bar or discussing the latest pothole situation on Facebook. However, there is an alternative, an escape room is just what it says, a room where you try to escape. Think Crystal Maze without the Crystals or Richard O’Brian! Escape rooms provide a way for you to put all those hours of brain teaser apps to good use. Enabling you to go from zero to hero in 60 minutes. Imagine being asked by Winston Churchill to find the secret plans that hold the key to winning World War 2? Think you can follow in the footsteps of the greatest cryptologists ever? Think about the contribution Alan Turing made to shortening the war, well now you can, or perhaps you would like to see how it feels to be locked in Alcatraz – you need to escape and save your fellow inmates before it’s too late. Our escape room called ‘The Secret Hut‘ takes you back to 1940’s England, Bletchley to be exact. The war was not going well. Winston Churchill had just become Prime Minister. Churchill was determined to turn our fortunes around and stop Hitler in his tracks. Bletchley Park played a crucial role in this plan. Our story, although entirely fictional, challenges you to help Churchill change the fortunes of a nation. Well you have 60 minutes to escape, but you are never actually locked in, so it is not as scary as it sounds. In reality you have a game master watching your every move and giving guidance and encouragement in the form of clues. So, if you get really stuck unlike in the real Bletchley Park – help is on hand. You can make your game as difficult or easy as possible thanks to our unique Kudos Challenge. This rewards people who use less clues and more grey matter. So hardened escape roomers can take the more difficult path to greatness whereas our novice users can have as much encouragement as they want. The really great thing about escape rooms is that they are real. In a world which is becoming more and more virtual, we find that people actually want to experience something real for a change. When the door closes and timer starts all you see is a scene that resembles a 1940’s war time code breaking room. The only hint to the modern day is the tablet on the wall which feeds you with clues on request. 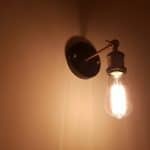 Although Don’t Get Locked In is a new kid on the block when it comes to escape room experiences we feel that we have created something a bit special, escapism and above all social fun. In our short life we have had children as young as 8 and adults as old as 80 (some even dressing up, dancing and singing in some instances) through our experience. And there is one thing they all have in common – they totally enjoy the experience (check out our testimonials if you don’t believe me), echoed by the numerous requests for us to change the clues so they can ‘do it again’ or asking when the next room will be ready? Even the most sceptical of people enter the room looking worried or disinterested and come out hyped and exhilarated by the experience. Dad’s Beware – You might enjoy this! We especially enjoy watching the disgruntled fathers. They are dragged away from a Saturday afternoon in front of the TV. Asked to do this ‘new thing that people are talking about on Facebook’. The transition from aloof and disinterested, to taking charge (in a fatherly way). Exclaiming ‘We have 5 minutes to get out – come on we can do this’. Of course while scrabbling around on the floor trying to find the next clue. Which is very heart-warming! We had a similar experience when we did our first escape room in Cornwall. Hence deciding that other people deserved to have a similar experience and Don’t Get Locked In was established. We are really proud of what we have created and the way people respond and feel when they emerge from the room. However, the only way to truly understand is to try it for yourself. So get online (yes, we encourage you to do that) and book your game. We promise you don’t need to worry or be scared! We are very friendly and we absolutely promise that you will have a great, fun and socially rewarding experience.